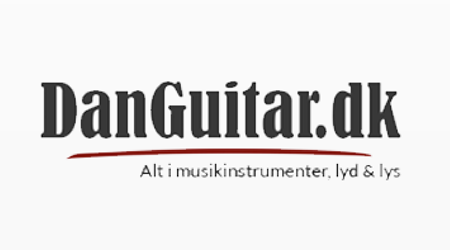 Since 2002, DanGuitar had online sales of musical instruments and equipment. It all started with guitar and guitar accessories, today we sell all kinds of musical instruments, sound systems and stage equipment. Our sales team is all even musicians and has extensive experience with musical instruments and sound systems, including Digital Audio Workstation (DAW) software. The Danes have rewarded us with a first place on Trustpilot and DanGuitar has the Danish certification "E-mærket" which is your guarantee for a secure and transparent trade. Recently, we are looking for an opportunity to develop DAW software in our Company. At the moment we use Novation launchpad controller with Ableton to launch clips, play drum racks and control mixer, all while creating impressive light shows. However, we do get from clients concerns that software is limited and rather complex to setup. That is why, we would like to develop our own software with more features and intuitive UX. Software must be a traditional Digital Audio Workstation (DAW) software, focusing on recording of instruments, and it must be strong for use with controllers such as the Novation Launchpad. In the long term, we aim to develop our own controller, which can be more than the Novation Launchpad, and therefore only used with our software. We want to understand possible improvements of software and analyze user side - potential needs (features, UX) they would like to have. Provide testings of features, layouts and UX and produce a pilot test for new DAW software. The analysis outlined above should result into guidelines for DAW software development and testing of the most fitted features, UX. Approved analysis should lead to DAW software development as the pilot test. For this project we are open for different kind of collaborations - it could be Master/Bachelor Thesis, Course / Semester project or Internship/ Paid Student Assistant position. You should have knowledge and interest in DAW software development UX and layout building - full stack developer. We are ready to provide you with a desk and computer whenever you will be interested to do project from our office. The applications will be reviewed on an ongoing basis and we will close once the right candidate or a group is found.